Dissenting voices are being heard among the Israeli military, as the IDF withdraws its forces from Gaza. Over 1,800 Palestinians – the vast majority of them civilians – were killed in the almost month-long operation. The week has brought what relentless rallies around the globe have been continuously demanding. On Tuesday, Israel declared that its mission in the Gaza Strip had been accomplished; Hamas tunnels and hideouts were destroyed and troops could finally withdraw. As of Wednesday, over 1,800 Palestinians had been killed – most of them civilians, including hundreds of women and children, according to the UN. Though Prime Minister Benjamin Netanyahu has praised the Israel Defense Forces as a “moral” army, some within the military disagree. Yehuda Shaul, co-founder of Breaking the Silence – an organization of veteran Israeli combatants – told RT’s Paula Slier that many soldiers are questioning Israel's actions. “There are a lot of soldiers who come back and say to themselves, 'What the hell are we doing here? Why are we using so much force? Why are we treating them this way? '” he said. The UN said Wednesday that it “understands the legitimate security right to defend Israeli citizens from the threat of rocket attacks by Hamas.” Three civilians in Israel were also killed, as well as 64 Israeli soldiers. However, the conflict has raised serious questions regarding the respect for principles of distinction and proportionality in international law. “Perhaps nothing symbolized more the horror that was unleashed on the people of Gaza than the repeated shelling of UN facilities harboring civilians who had been explicitly told to seek a safe haven there. These attacks were outrageous, unacceptable and unjustifiable,” UN Secretary-General Ban Ki-moon said in a statement. Though there were reports that Hamas rockets were fired from nearby UN premises, a “mere suspicion of militant activity does not justify jeopardizing the lives and safety of many thousands of innocent civilians,” he added. An increasing number of soldiers are choosing not to be part of the army, which is often seen as the bully of the region. Hanna Schmidt, a former Israeli soldier and anti-occupation activist, was one of the 50 reserve troops that signed an open letter to the Washington Post, refusing to serve duty in July. “During the service, I didn’t talk about these things. When you are there, you are just a part of it,” she told RT. “To us, the current military operation and the way militarization affects Israeli society are inseparable. 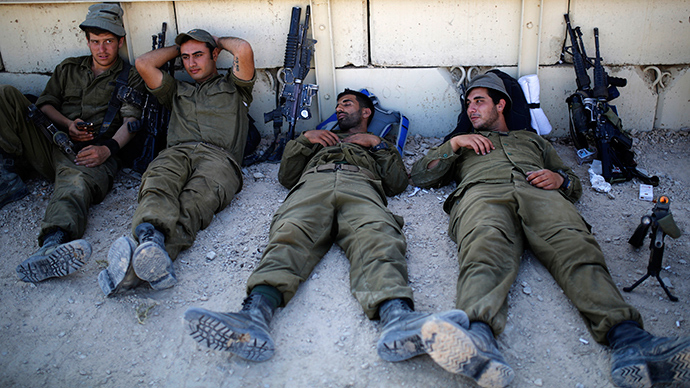 In Israel, war is not merely politics by other means; it replaces politics. Israel is no longer able to think about a solution to a political conflict except in terms of physical might; no wonder it is prone to never-ending cycles of mortal violence. And when the cannons fire, no criticism may be heard,” the open letter said. In just years, Israel has gone to war five times. In 2006, a 34-day war was fought with Lebanon. It left more than 800 killed – and in the end, Israel faced an even stronger Hezbollah. 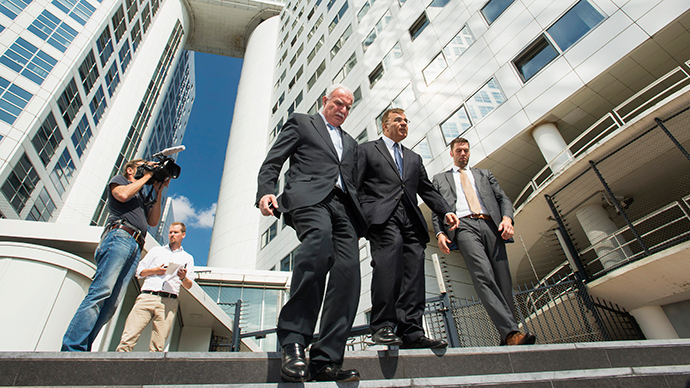 Four devastating wars were waged with Hamas – in 2006, 2008, 2012, and 2014. 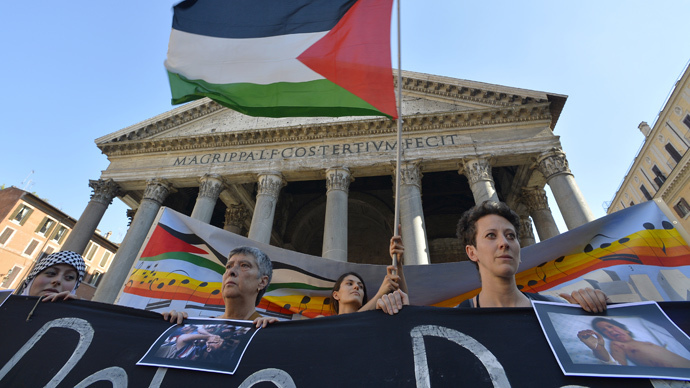 Thousands were killed while Israeli policies sparked international outrage. As a result, the rival governments of Hamas and Fatah united against their common enemy. “Foreign policy wise, we had four years in which we lost the Middle East – we lost Turkey, in a way we lost Egypt, and we were very isolated,” Alon Liel, former director general of the Israeli Foreign Ministry, told RT.